As Jody decided to attempt her own version of a face plant. She left it to me, Pippa. (Hi there *waves*) to write the blog this week. So I thought I would go for the romantic slant. 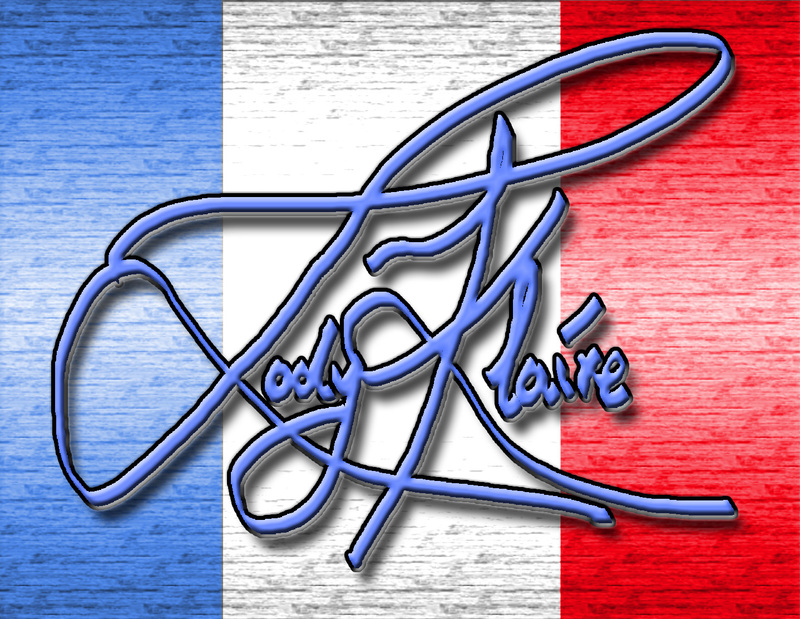 I would try to capture my love of France. I had a habit of talking out loud when I typed. It was something that Rebecca, my dear luminous hedgehog, was used to. Rebecca wandered over, well, strutted over. I carried on typing knowing that she’d read over my shoulder anyway. “Why are you describing what I’m doing? Hey, cool.” Rebecca waved at my laptop screen. Why, I wasn’t sure. “This is no time for flirting.” Yes, Rebecca was the kind who would even flash bedroom eyes at a computer screen. “Who is flirting?” Babs scowled as she slinked in. She was someone that I couldn’t wait for you to meet. There’s nothing like a Babs greeting. “Alors, they are friends of yours, non?” Babs blew a kiss. Apparently Rebecca wasn’t the only one who liked to read over my shoulder. Rebecca plonked down next to me, Babs decided that she would sit on the desk. “Right. Fine.” Jane Austen didn’t have to write like this but then she wore corsets… or did she? I could never remember if she actually lived in the time she wrote about or just had an affection for frilly things. I said this with extra force because he strode in. I had no idea why everyone had decided that it was fun to watch me type. Okay, so I hardly ever typed in my job. I hardly worked actually. Although, I was really good at fixing the photocopier. There was a knack to it. “Pippa, do you really think that the readers want to know about your ability with printers?” Doug was munching on a chocolate biscuit. My stomach grumbled. Chocolate had that affect. “Nothing to do with a certain French stonemason then?” Rebecca whispered in French. Doug can’t speak French. “She is more for the chocolate, I think,” Berne said with a smile and a nod of support. “Non, this is not true. I think it is more than just her stomach growling.” Babs winked at Rebecca who laughed a smutty laugh. They all gave me a range of innocent looks. Doug was the only one close to pulling it off. Rebecca couldn’t help wiggle her eyebrows and wink at Babs who bellowed with laughter. Berne’s eyes gave her away. She had smiley eyes. Really beautiful big eyes. Sigh. “You had something special that you wish to tell the readers, non?” Berne leaned in close to ask me. Her soft tones made me giggle. So composed. I cleared my throat because that always helped. Yes. Rebecca and Babs exchanged a knowing look. Doug looked to Berne for an explanation. Berne found the window very interesting. “What is it?” Rebecca stepped in. She was handy like that. I clicked onto the webpage to show her. There it was, the blue door with the light over it. “Apart from an English one,” Rebecca shot her way. 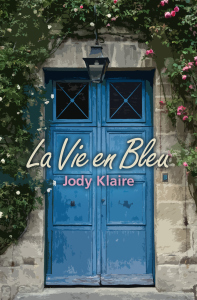 “Anyway… La Vie en Bleu is out now!” I hope that you will enjoy spending time in France. We look forward to meeting you! Like Pippa said, La Vie en Bleu is out now. I too hope that you will enjoy Pippa’s story and that it makes you laugh, smile and feel the joy of love in France. Next postPippa on the move and Book III for Aeron! This sounds great, I’m a sucker for anything set in France!